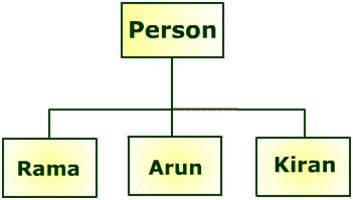 Java is a truly object-oriented programming language developed by Sun Microsystems. Goal was:"Write once, run anywhere, any time, forever"
The language is modeled on C++. Java was conceived by James Gosling, Patrick Naughton, Chris Warth, ED Frank and Mike Sheridian at Sun Microsystem in 1991. Initially Java was named as "Oak", because there was a Oak tree in front of the Sun Micosystems' office. But the name was already registered by some body so that name could not be used. So one day the team went to a coffee shop and the name Java was struck to them the name was chosen so. All tangible things around us are objects. Has got a name, a set of attributes (or properties) and behaviors (or functions). 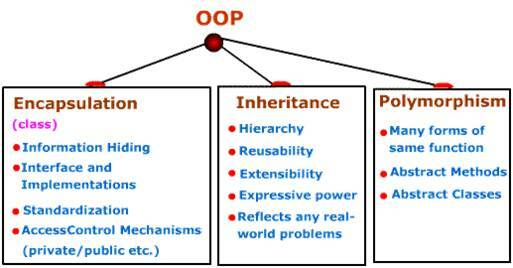 Object oriented programming supports the view that programs are composed of objects that interact with one another. Object must have unique identity (name): Car, Bicycle, Red ball. Class of an ObjectA class defines a collection of objects of same type. 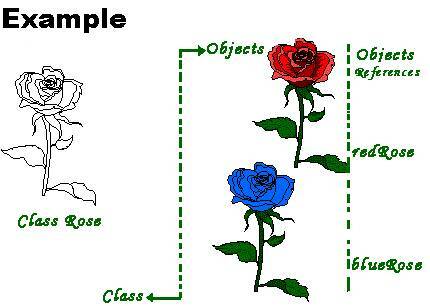 The process of creating an object from a class is called instantiation. The designers of Java used the combination of compilation and interpretation. Programs written in java are compiled into machine level language. But it is a machine level language for a computer that does not really exist. This is so called Virtual Computer is known as Java Virtual Machine (J.V.M.). The machine language for the JVM is called Java Byte Code. This java byte code can be run on any computer. But the computer needs an interpreter for the java byte code. This java byte code interpreter is different for different types of computer. But once the byte code is generated it can be run on any type of machines. Writing interpreter is easy and it is small. Thus instead of writing compiler for each type of computer, interpreter is written. Thus, even if a new type of computer is developed, it is easy to write an interpreter. On any machine when you compile java code using javac compiler, byte code equivalent to the source is generated. Byte code enables "run-anywhere" capability. You invoke java command which will feed the byte code to the machine-dependent interpreter. This is the point where the execution of the program begins. The above program is to be saved with the filename Hello.java.